The MS32 0R540 inrush current limiting thermistor from Ametherm offers a maximum steady state current of 40A (up to +65°C), resistance of 0.5Ω ±25% (at 25°C) and a maximum recommended energy rating of 250J. Ametherm's MegaSurge™ series of inrush current limiting NTC thermistors reduce costs and greatly simplify designs. These specifications are the highest of any single-solution inrush current limiting device on the market. Learn how to limit inrush current using NTC and PTC thermistors in this presentation by Ametherm. 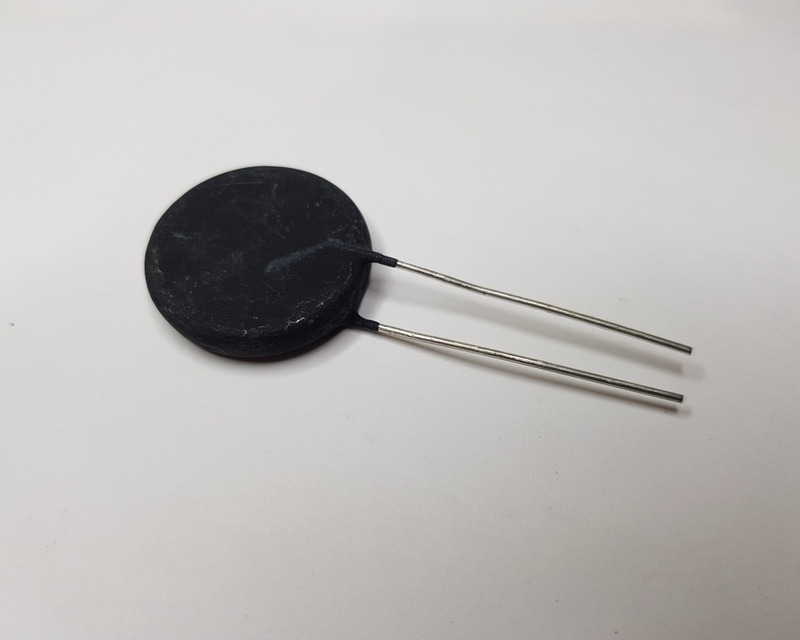 Many applications today, including industrial machinery, power tools and other high current equipment, use limiting inrush current as a major design consideration to combat the problematic effects of inrush current. Inrush current occurs when a system powers on and experiences a spike in current. This current can be substantially higher than standard operating current. If not properly managed, it can reduce the effective operating life and impose damage to equipment. For example, inrush current could disable a cooling fan, eventually leading to total system failure. Applications that are switched on and off quickly, such as welding equipment, present a particular concern for limiting inrush current. The limiting inrush current circuit must reset instantaneously during each power on to protect the system. This further complicates the management of inrush current. NTC stands for Negative Temperature coefficient. The NTC thermistor provides variable resistance based on temperature. As temperature increases, the resistance drops from high to low and allows current to pass through. PTC stands for Positive Temperature Coefficient. 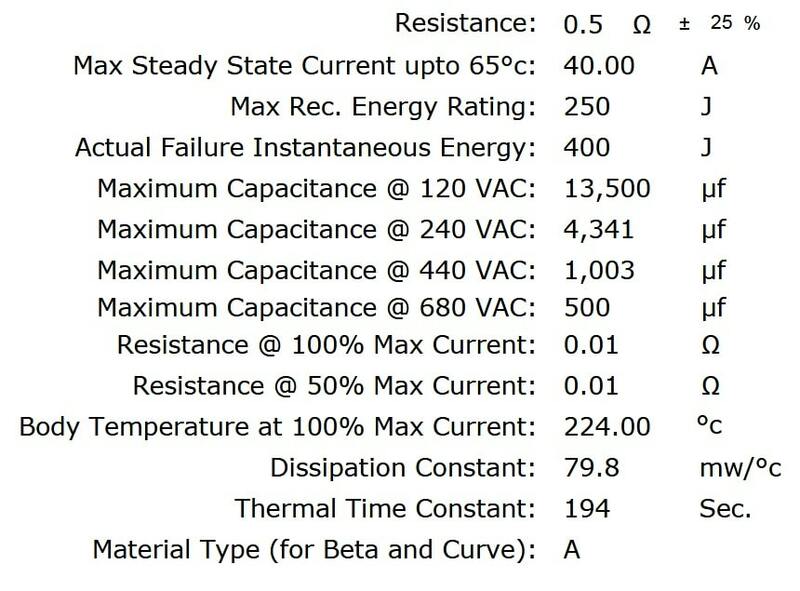 The PTC thermistor also provides variable resistance based on temperature. As temperature rises, resistance increases from low to high and blocks inrush current. Typically, NTC-based limiting is used for most applications. 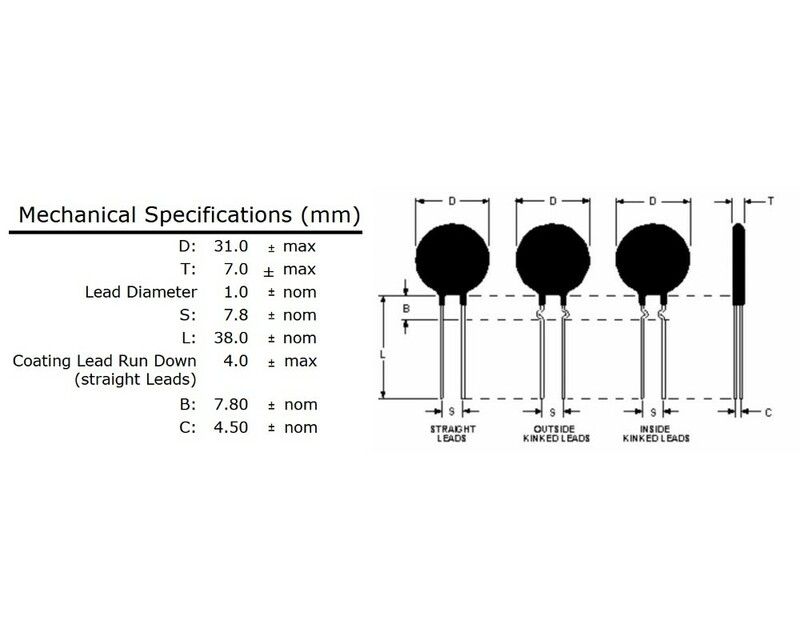 However, there are certain scenarios that require a PTC thermistor over an NTC thermistor. These include equipment with a near-zero reset time, extreme temperature conditions, and systems that experience frequent shorts. Inrush current often causes problems for transformers. This video will show you how to calculate the right inrush current limiter for your transformer in 7 simple steps. What does inrush current have to do with DC motors? This video answers that question by discussing the cause of DC motor inrush current and how to prevent the inrush of current at startup from possibly damaging the DC motor with the use of Ametherm's Inrush Current Limiters. They start by explaining how a DC motor functions, its applications and key components, how inrush current factors in, how to solve the problem of inrush current, and how to select the right inrush current limiter for your application with three easy steps. The MS32 10015 inrush current limiting thermistor from Ametherm offers a maximum steady state current of 15A (up to +25°C), resistance of 10Ω ±25% (at 25°C) and a maximum recommended energy rating of 250J. Ametherm's MegaSurge™ series of inrush current limiting NTC thermistors reduce costs and greatly simplify designs. In addition, they increase safety by eliminating the fire hazard associated with failed relays. While traditional thermistors a.. 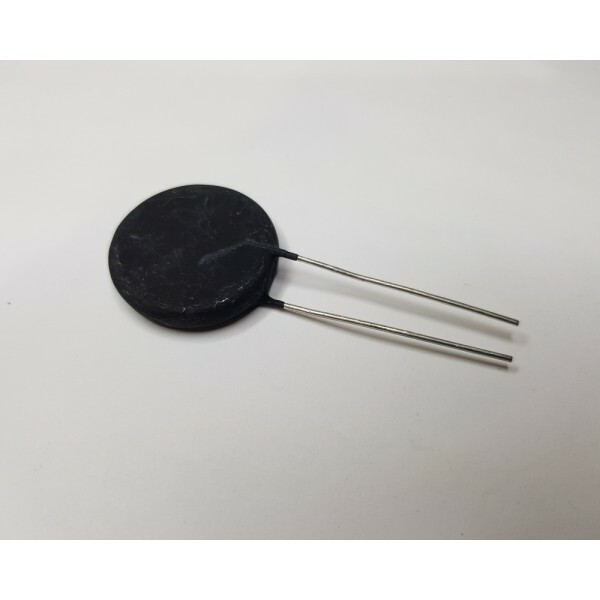 The MS32 15012 inrush current limiting thermistor from Ametherm offers a maximum steady state current of 12A (up to +25°C), resistance of 15Ω ±25% (at 25°C) and a maximum recommended energy rating of 250J. Ametherm's MegaSurge™ series of inrush current limiting NTC thermistors reduce costs and greatly simplify designs. In addition, they increase safety by eliminating the fire hazard associated with failed relays. While traditional thermistors a.. The MS32 0R536 inrush current limiting thermistor from Ametherm offers a maximum steady state current of 36A (up to +65°C), resistance of 0.5Ω ±25% (at 25°C) and a maximum recommended energy rating of 250J. Ametherm's MegaSurge™ series of inrush current limiting NTC thermistors reduce costs and greatly simplify designs. These specifications are the highest of any single-solution inrush current limiting device on the market.Inrush curren.. The MS32 1R036 inrush current limiting thermistor from Ametherm offers a maximum steady state current of 36A (up to +65°C), resistance of 1Ω ±25% (at 25°C) and a maximum recommended energy rating of 300J. Ametherm's MegaSurge™ series of inrush current limiting NTC thermistors reduce costs and greatly simplify designs. These specifications are the highest of any single-solution inrush current limiting device on the market.Inrush current ..